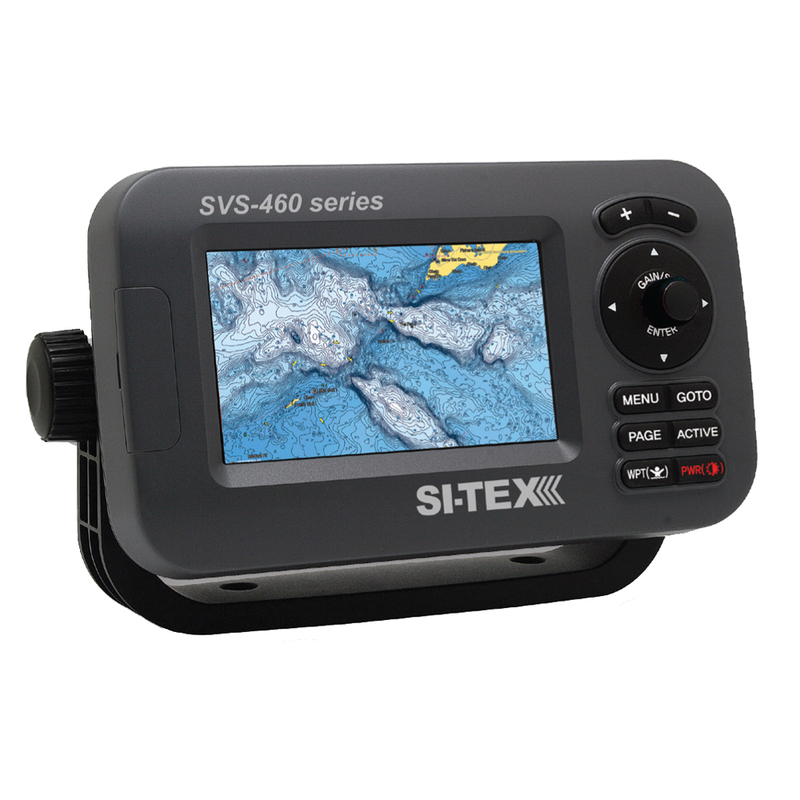 The SVS-460C proves that you don't need a big boat - or a big bankroll to benefit from SI-TEX's rugged construction and professional-grade performance. This compact chartplotter deliver the goods for any vessel, from center console skiffs to sailboats to light commercial boats. The SVS-460 chart plotter features a 4.3" high-resolution color LCD and compact case. Rugged construction, versatile, no-nonsense performance and features that really matter.